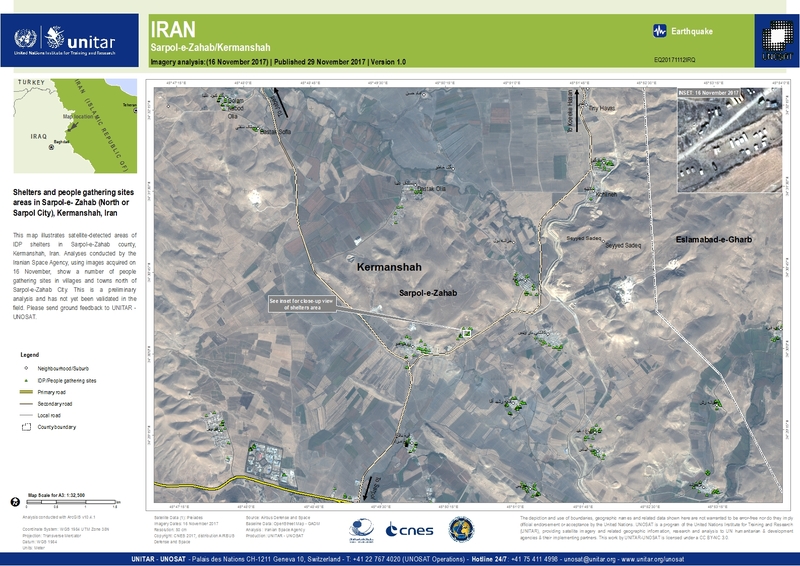 This map illustrates satellite-detected areas of IDP shelters in Sarpol-e-Zahab county, Kermanshah, Iran. Analyses conducted by the Iranian Space Agency, using images acquired on 16 November, show a number of people gathering sites in villages and towns north of Sarpol-e-Zahab City. This is a preliminary analysis and has not yet been validated in the field. Please send ground feedback to UNITAR - UNOSAT.